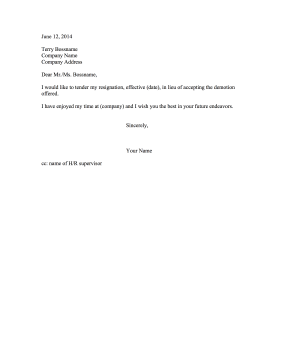 Employees who are demoted can use this printable letter to resign instead. I would like to tender my resignation, effective (date), in lieu of accepting the demotion offered. I have enjoyed my time at (company) and I wish you the best in your future endeavors.